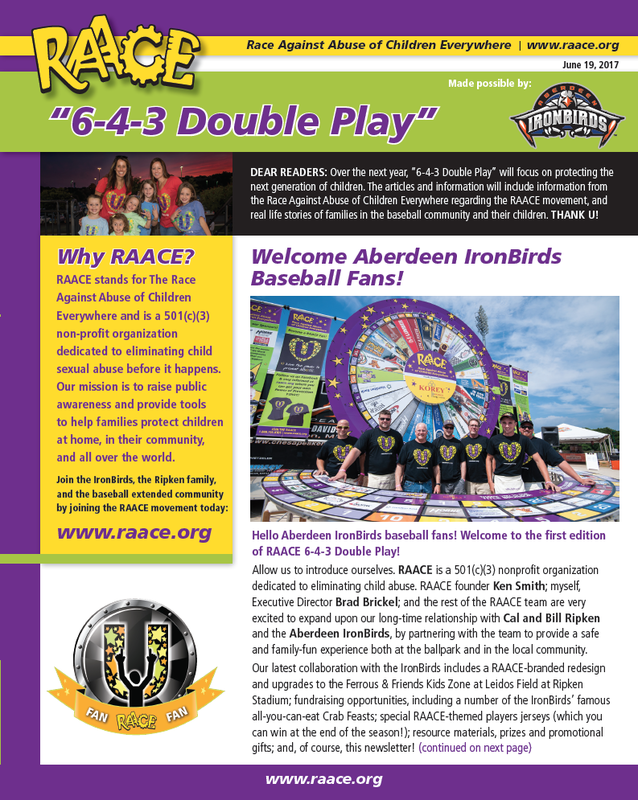 Sponsored by SuperHero, Aberdeen IronBirds, we are proud to offer RAACE Fans, the "6-4-3 Double Play". To read full versions of any of the monthly publications, click on the image links below to access a readable and downloadable PDF. The right things. The right way. The Ripken Way. Perhaps you’ve seen the slogan, but do you really know what it means? The Ripken Way and The Oriole Way are more than words, more than baseball techniques, skill development or a scouting process. They are professional and personal philosophies, instructions for how Ripken Baseball and the Baltimore Orioles expect their players to be coached and developed, both mentally and physically, on the field and off. For Ryan Ripken, son of Cal Ripken, Jr., and a member of the Aberdeen IronBirds this season, The Ripken Way and The Oriole Way have always been a way of life. Ryan’s grandfather, Cal Sr., is one of the architects of the Baltimore Orioles’ The Oriole Way, a player development system that aims to cultivate The Whole Ball Player from the moment he joins the franchise. Hello Aberdeen IronBirds baseball fans! Welcome to the first edition of RAACE 6-4-3 Double Play! 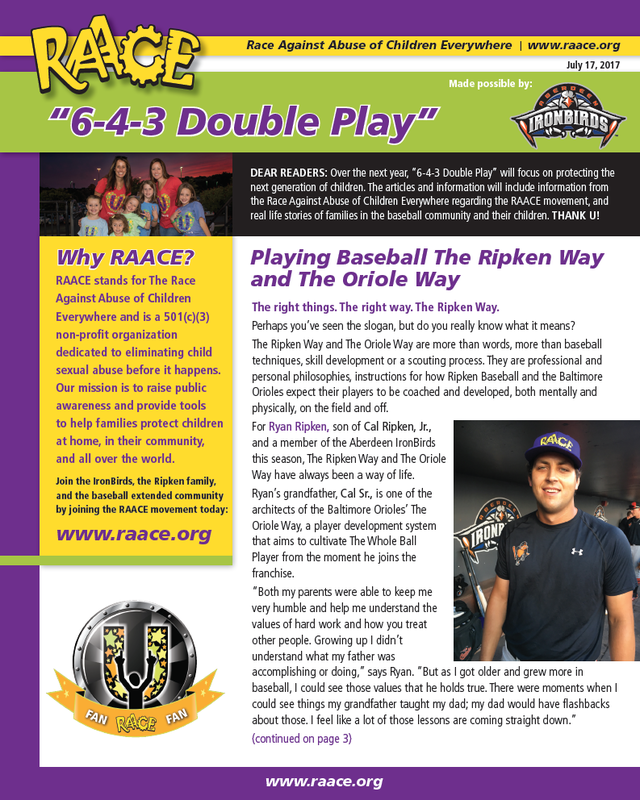 Executive Director Brad Brickel; and the rest of the RAACE team are very excited to expand upon our long-time relationship with Cal and Bill Ripken and the Aberdeen IronBirds, by partnering with the team to provide a safe and family-fun experience both at the ballpark and in the local community.